flipping gorgeous! That bomber is beautiful, such a good Zara dupe and those shoes, no wonder your Nanna's after them! I don't think it looks shapeless! Looks gorgeous, the jacket is amazing. I don't think it makes you look shapeless! You can tell the jacket is a loose fit but you still look nice and slim in it! It looks lovely on you and I really like the whole outfit :) Your hair looks great too! Wish I looked that good in a bun.. haha! Those shoes. I think I've got to have them! need those shoes and jacket!! Lovely outfit!! 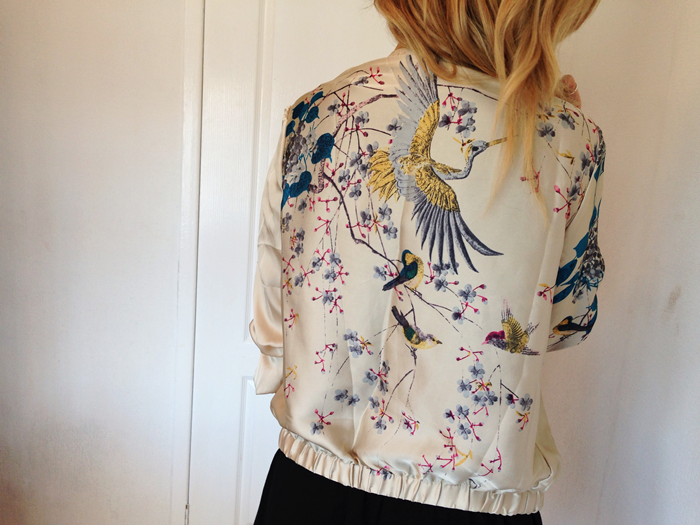 The jacket is really perfect!! Been loving this type of print lately!! You are BEYOND stunning, dear. I want your shoes!